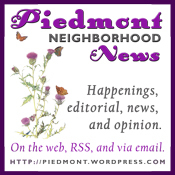 It seems clear that both BB and CC, measures to change the Piedmont City charter are solutions looking for problems. Problems that don’t exist. At this time there is no compelling need to change the charter. Monday, October 22nd is the last day to register online or have your registration postmarked to vote in November mid-terms. Get registered to have a say in our city council & school board, proposed city charter amendments, local and state measures, and state and federal candidates. Just in from the city…perhaps you are interested in filling Jeff Wieler’s recently vacated council position. Here is the info on the process. You application is due 5:00 p.m. Wednesday, September 27, 2017 in the City Clerk’s office. NOTICE IS HEREBY GIVEN that the City of Piedmont will accept applications from qualified voters for appointment to the City Council to fill the vacancy created by the resignation of Councilmember Jeffrey Wieler, effective at 12:01 a.m. on September 5, 2017. To be eligible to serve on the City Council, a person must meet three requirements. First, the person must be a qualified voter in the City. Second, the person must not hold any other office or employment with the City. Third, due to the City Charter’s term limits provision, the person must not be a former Councilmember who served two successive full terms and left office in either 2014 or 2016. The term of this Council seat is from the date of appointment until the results of the General Municipal Election of November 8, 2018 are certified, which likely will take place at the first Council meeting in December, 2018. Original applications must be delivered to the City Clerk’s Office by 5:00 p.m. Wednesday, September 27, 2017. Postmarks will not be accepted. The City Council will interview candidates separately and each applicant will have the opportunity to present their qualifications and discuss their candidacy with the City Council. At a special meeting of the City Council on October 2, 2017 and/or October 4, 2017 in the afternoon/evening, each applicant will be asked to make a brief presentation to the City Council. The applicant may then be asked to respond to questions the City Council may have regarding their presentation or application. Applicants are requested to hold these dates available for interview. An appointment will not be made without a Council interview. The City Council may make an appointment at the special meeting or may direct staff to place the matter on a future agenda for action. Upon appointment, the successful candidate will be required to complete and file a Form 700 Statement of Economic Interests. For more information on this requirement, please contact the City Clerk. A fillable PDF version of the application is available. Residents using the electronic version are requested to fill out the application on their computer, print the completed application, sign it, and deliver it to the City Clerk’s Office. Hard copies of the application are available from the City Clerk’s Office. PIEDMONT, CA – Community members are invited to participate in two workshops to help assist the City of Piedmont in securing quality garbage, recycling, and composting services. Community input is sought to determine the most appropriate garbage and recycling services for Piedmont customers, and to assess the community’s opinion of the current solid waste service offerings. The goal of this effort is to reduce waste sent to the landfill while continuing to provide quality services to the Piedmont community. Paper versions of the survey will be available at the Public Works Counter at City Hall. For more information on the current procurement effort, please contact Associate Planner Jennifer Gavin at jgavin@ci.piedmont.ca.us or call 510-420-3054. Looks like some great local restaurants and events. Check it out! 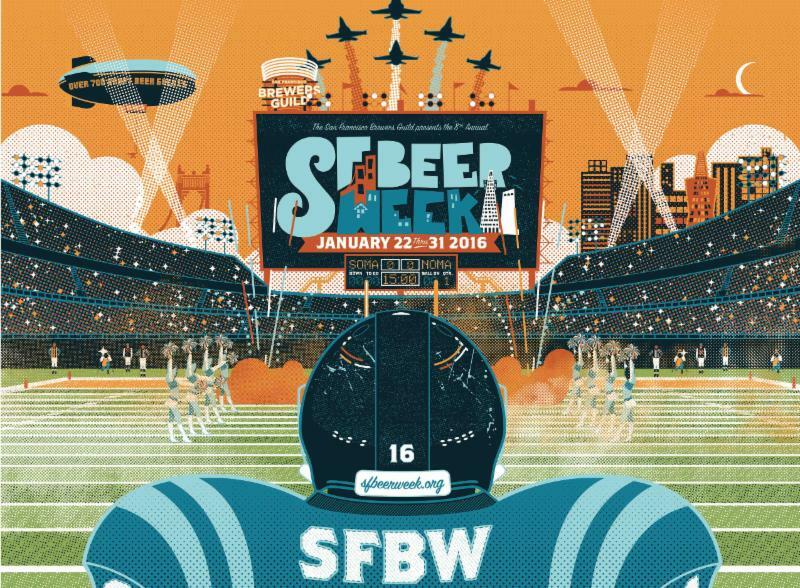 SF Beer Week celebrates the Bay Area’s brewing heritage and craft beer culture with hundreds of events taking place over 10 days, January 22-31, 2016. 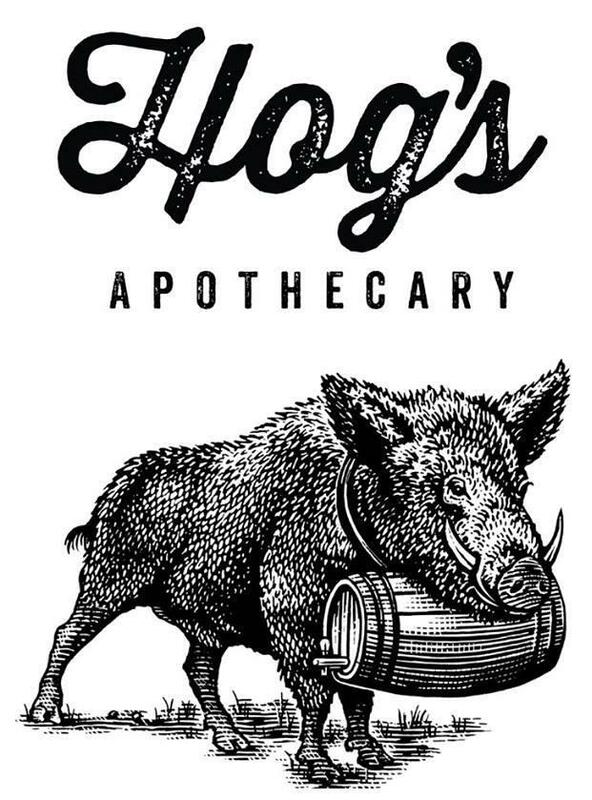 In Temescal, Hog’s Apothecary and Rosamunde Sausage Grill have amazing events all week long including beer dinners, educational events, meet the brewer nights, and more. Hip Breaker IPA, a collaboration between Triple Rock and The Hog’s Apothecary, makes its debut at Hog’s Apothecary with Triple Rock Head Brewer Jeff Kimpe on hand to bask in the hoppy glory. Hip Breaker was created for one of the original founders of Hog’s who broke a hip after falling off a ladder, preparing Hog’s grand opening. Also on tap will be Kimpe’s Hop Salad Double IPA and Nod-and-Smile Triple IPA. Don’t miss out on this hop binge. 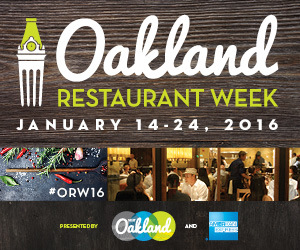 Last Weekend for Oakland Restaurant Week! Oakland Restaurant Week is YOUR opportunity to experience Oakland’s trendy culinary scene that everyone is talking about. For 10 days (January 14-24, 2016), close to 75 participating restaurants will offer special prix-fixe lunch and/or dinner menus at $20, $30, $40, and $50 price points. That’s two weekends of awesome deals to feed your inner foodie. First course: Sopes with seared scallops, butternut squash, serranos or Quesadillas with roasted beets, goat cheese, tomatillo- guajillo salsa. Produced by Visit Oakland, Oakland Restaurant Week is in its sixth year and American Express this year’s presenting sponsor.